Volkswagen is a German automobile manufacturer headquartered in Wolfsburg, Lower Saxony, Germany. Volkswagen is the biggest German automaker. 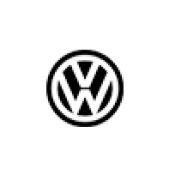 Volkswagen has three cars in the top 10 list of best-selling cars of all time compiled by the website 24/7 Wall St: the Volkswagen Golf, the Volkswagen Beetle, and the Volkswagen Passat. With these three cars, Volkswagen has the most cars of any automobile manufacturer in the list that is still being manufactured. Volkswagen ranks first in spending the most money of any automaker on research and development as of 2011.